APO is a concierge car detailing service. I come to you and detail your vehicle at your home, or I drive your vehicle to my garage for the detail service, then back to you so clean, you'll need sunglasses because of the great shine! No more long wait at some detail shop while your car gets detailed! Carry on with your day! I find that people like a clean well cared for car, inside and out. Like a clean pair of shoes, you simply feel better when your car is clean too! The proper approach is taken with preparation, materials & polish with the painted services, with know how for an excellent car detail! 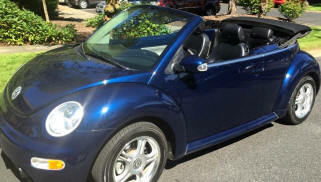 Detailing keeps the value of your car at its highest, looking its best and makes you feel good! If you're about to sell your car, getting it detailed will ensure your car looks its best for a timely sale and a happy buyer. Has your car had an interior spill on the seats or a car-sick child? Dan will get your interior cleaned right up! Whether it be older one stage paint or newer clear coat paints; it takes passion, patience, skill and desire. Dan has what it takes! No harsh chemicals will be to clean the interior of your vehicle. When necessary, a Steam Cleaner will be used. However during the winter months, steam cleaning isn't very efficient because of the lack of evaporation. Dan will be professional and friendly, honest and forthright with pricing, with no hidden fees and be prompt in helping you! Some of my clients cars include: Toyota, Honda, Ferrari, Volkswagen, Infiniti, Range Rover, Chevrolet & Ford. This 2014 Ferrari Spider Italia was the second car I detailed, my client was very pleased! This Supercar was truly awesome to experience; it sounded like a Roaring Lion when I started it up and moved it into my clients garage, and I only drove it 10 feet! I was entrusted to detail a $250,000 Supercar. My client was very happy with my detail of the interior and the exterior. This shot is right after I finished the detail. I even touched up small nicks with Ferrari touch up paint! I will gladly detail your vehicle too! 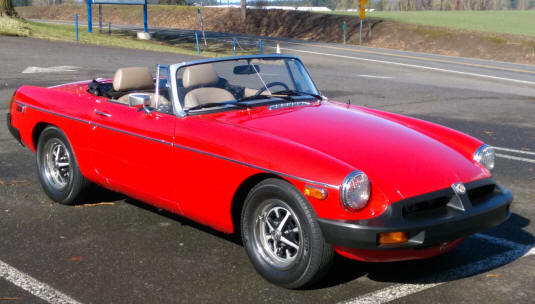 My 1979 first place winner [8 first places] MGB Roadster. I've owned this car since 1999. It has been a rolling restoration. I've learned how-to go through all systems in my B to road ready reliable condition. 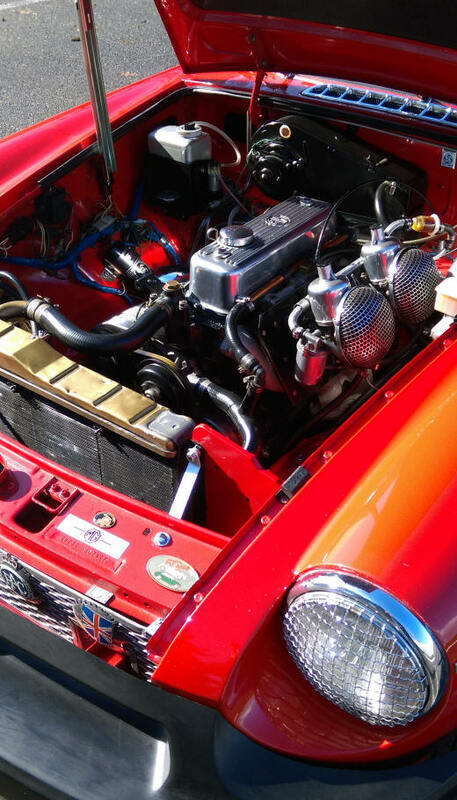 I installed an original Over-Drive gearbox in 2010, (big job); and detailed the engine bay to a perfect condition. The paint on this car is 24 years old, a one-stage paint as original. When I purchased the car, it was badly oxidized. So I set out to learn to remove the oxidation, without damaging the paint. In 2006, I purchased an oscillating Porter Cable buffer and slowly learned the art of restoring paint. I spent over 100 hours on the paint over time, restoring it to the shine you see here. My Engine and bay was a labor of love! I spent over 125 hours cleaning, repainting and detailing my engine and bay. It was the hardest job I've done thus far on my MGB. I'm naturally patient and get very enthused when I have a challenge, finding out ways and learning how to overcome obstacles that seem impossible. Like re-taping the entire wiring harness and getting my thick hands into spaces only big enough for a small mouse!